I feel like a whiny kid. I really waaant something! I want a dog park...please!!! We live in a small town in upstate NY. I can't say it's overly dog friendly, but it's not bad. The town I live in does not allow dogs on any school ground or field, so we're left to run and play at a local historic site where dogs are not banned, but they also are not encouraged with open arms. 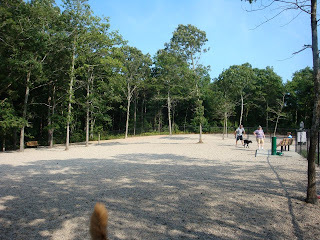 After visiting Cape Cod and a few of it's towns either finished, or up and coming dog parks, I feel my town, and probably many others, NEED a dog park of their own. 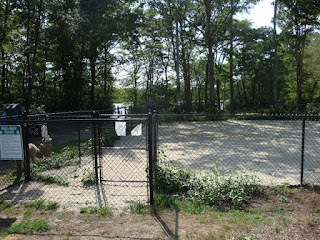 I don't see it as just a "nice place for dogs to play", I see it as a necessity for communities with many dogs living in them. I believe it would make not only the dogs and their owners happier, but also the non-dog owners as well. I think it would help keep dogs more out of the way of people who do not want to be around them. 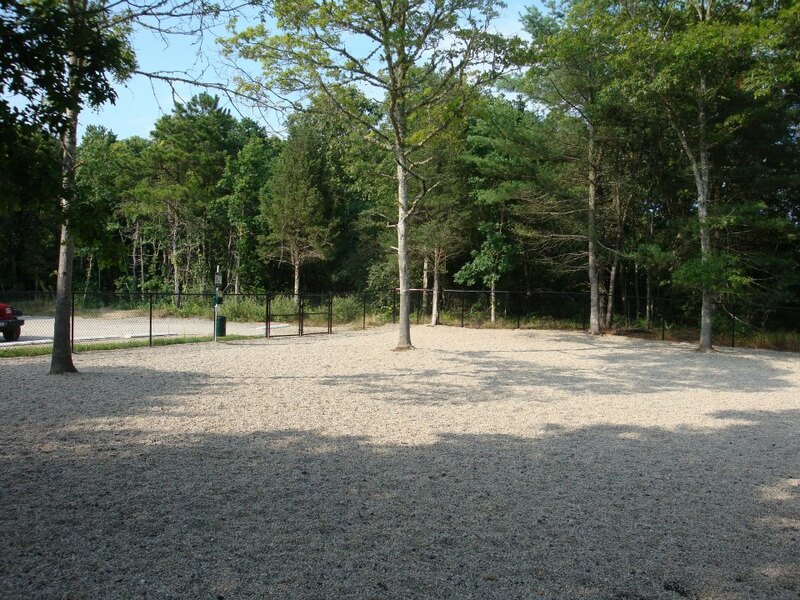 Dogs and their people would have a place to go, and not be in a constant search for dog friendly places and people,if they had a dog park. Jamie has been on the lookout for some prime space, and we have a couple options in mind. 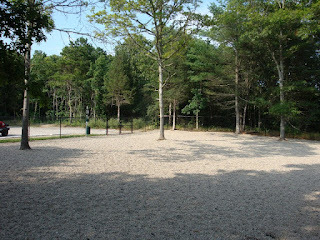 One is a space that is already designated as "park space", but it has never been developed. After locating the place, next would come approval and funding for it. I have to say, I am more motivated than ever, even though I don't know much about how to get this underway! 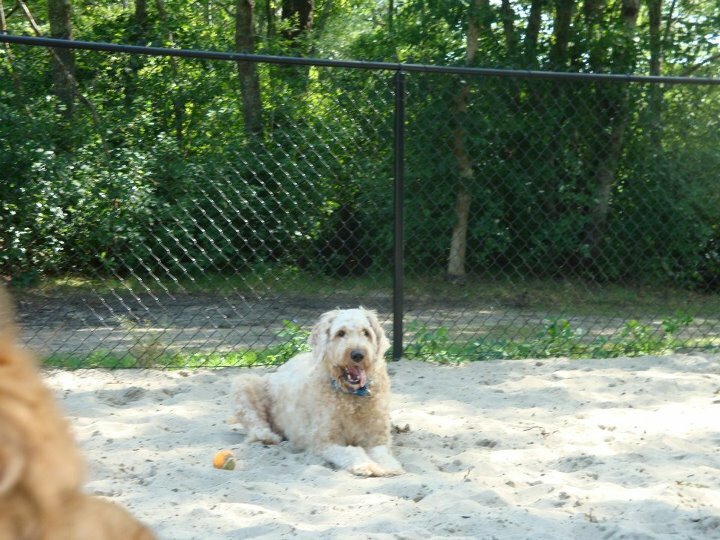 My boys had a great time socializing, running and playing with the other dogs in Cape Cod, and it was a safe place for them (and their humans) to gather. Of course I imagine we would have to start minimal. A fenced in area/areas, a couple benches, poop stations, water stations, and some kind of surface, but over time I dream of actual structures being there for dogs to play on. I am a bit hung up on what kind of surface would be good for dog paws to play on. 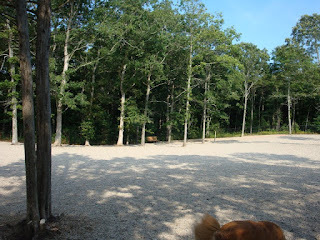 In Cape Cod I saw small stones and sand. The stones were tough on my guys and I would worry about dogs who eat them! Sand gets hot and is hard to maneuver sometimes (if it's deep) but still might be a better option than stone. Hmmm... We live at the bottom of the Adirondacks, so maybe a rustic theme! Oh my ideas a swirling now. 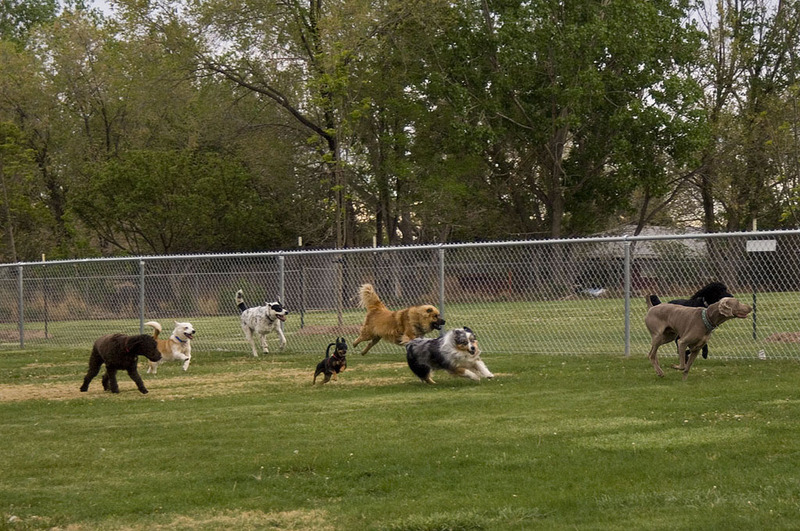 Oooo a dog park, yeah! So, I just went to Half Moon Bay's park and Domeek was talking with one of the regulars. She said that the park is completely self-funded and run by volunteers. The only thing the city did was let them use the space. They had to pay for insurance, making the park, clean it up...ect! They have a board of directors and volunteers. So it's completely doable, just keep at it and you too can have a totally awesome dog park! 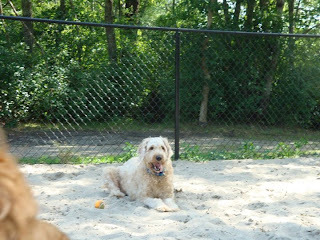 I've been to lots of dog parks and I have to say that both sand and wood chips have been the best ground coverage! Depends on the weather you get in upstate NY. If it's rainy, then you might want either fake turf or woodchips...something that won't turn into a mud zone! Good luck and keep us all posted!!! Woohoo! 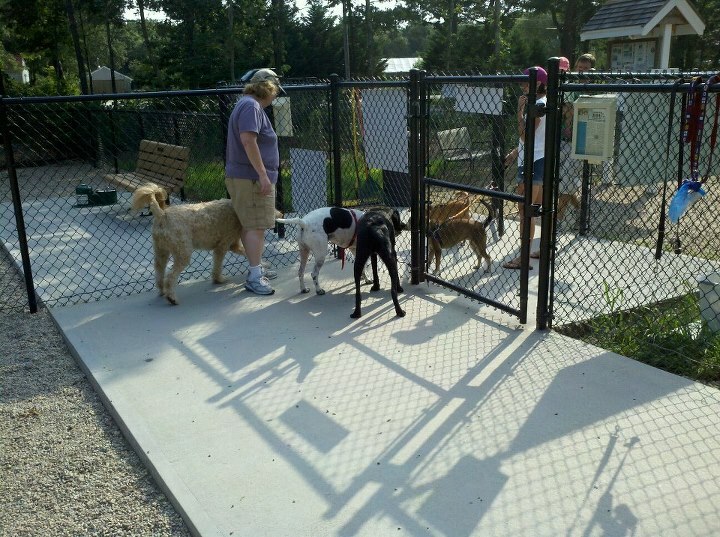 We hAve an awesome dog park, which is run by all volunteers with donated space from your town! Talk to other dog owners in your are and get the petitions going. Maybe your vet or groomer or what not could help you get the word out. I want a dog park for you! I've got an idea for a park too, I'm just not sure how to go about it. I hope you'll keep us posted and don't give up on your dream. 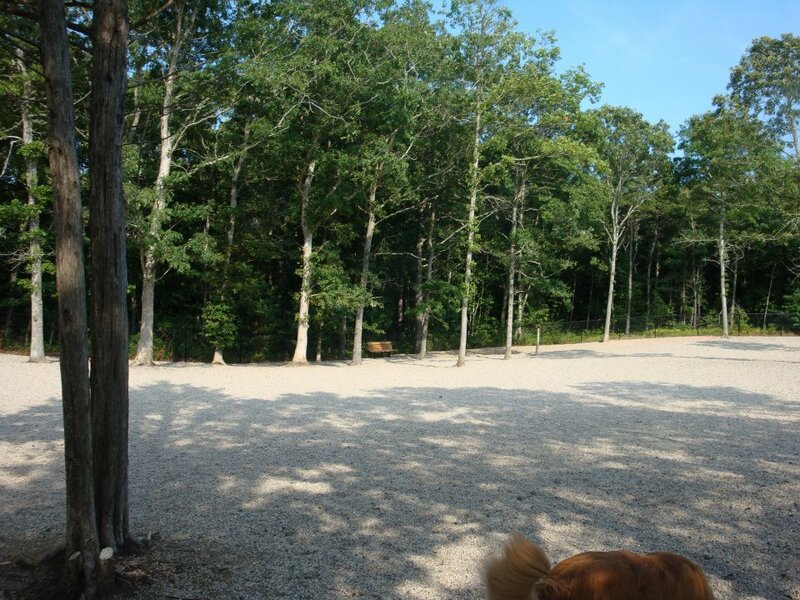 We have an animal sanctuary being modeled off of Best Friends and the land was donated. It was an old chicken farm and guess what, it will have cottages for cats and dogs and will be an amazing rescue. If you dream it, you can do it! Our town doesn't have one either. The closest one to us is rather barren. Too many communities are not dog friendly but after seeing how irresponsible dog owners have just let their dogs poop and not cleaned it up I suppose I can understand where they are coming from. We need to put pressure on our own community to be responsible and then maybe communities will loosen up a bit too? Good luck with your quest!! 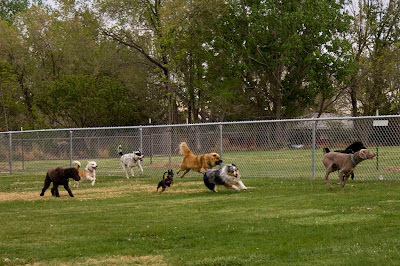 That would be awesome if you could manage to organize a dog park for your area. We live in a big city (San Diego) so we luckily have a lot of dog parks to chose from - including a really awesome dog beach/park that is over 100 acres. I call it Disneyland for Dogs. Sometimes I like to fantasize about getting away from the 'big city' and moving to a small town - didn't stop to think about what that might mean for the dog! Good luck with finding a great place for the pups! Good luck with your dream. I think making a town more "dog friendly" encourages better dog owner behavior! Should be something a town prides itself on. Our mayor wrote back to us saying it's being talked about and they already have a location in mind. They are hoping to address it over the winter. I am going to volunteer for anything I can do to help out. And yes, thanks Pamela...I did see the Beneful contest and I just entered. Wouldn't that be awesome? Thank you all for your encouragement and support!